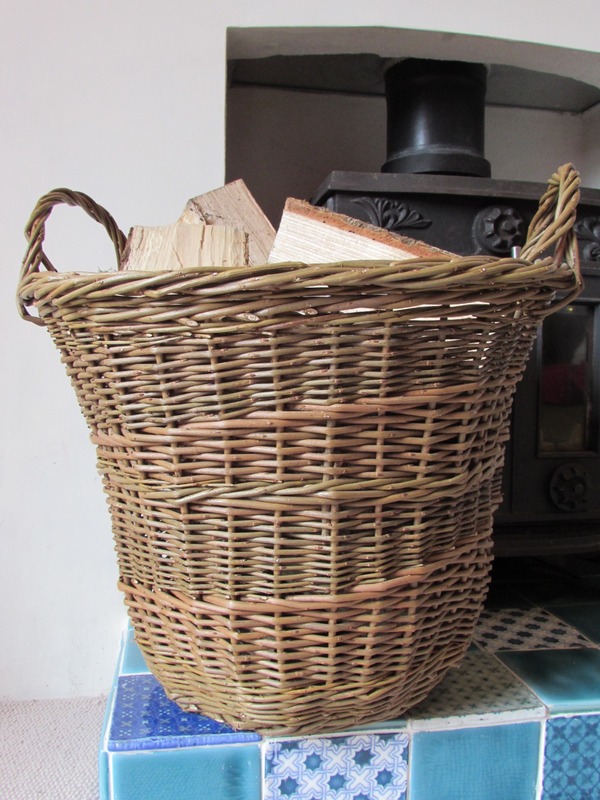 Wouldn't you just like a decorative basket that also fits in enough wood for two evenings of decent fires? 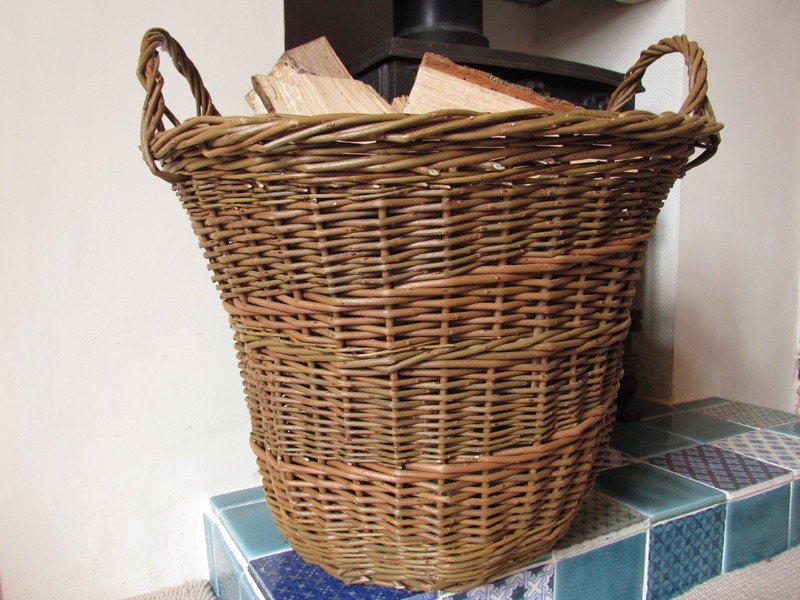 That was my aim in creating this bell shaped log basket using brown and green willow. I was inspired by a willow umbrella holder to create the striped effect.